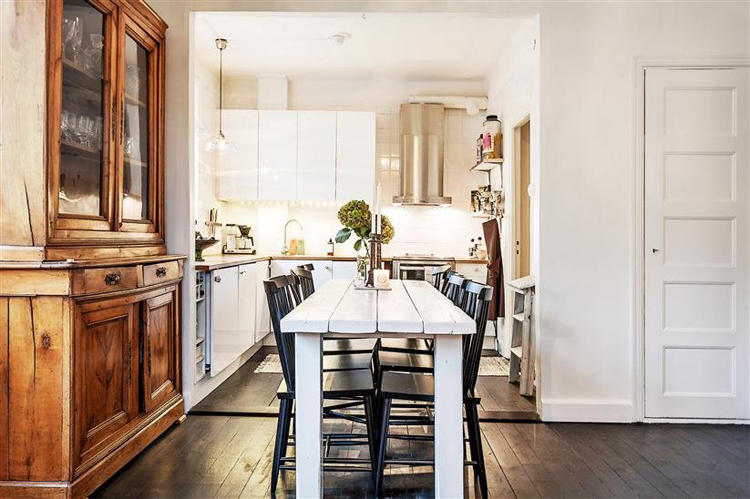 Ignoring the fact that it’s Halloween (because we all know how I feel about Halloween, though I am TOTALLY wearing a turtleneck today accidentally), let’s take time to appreciate this beautiful apartment for sale in Stockholm, for an unfathomably reasonable $350k. 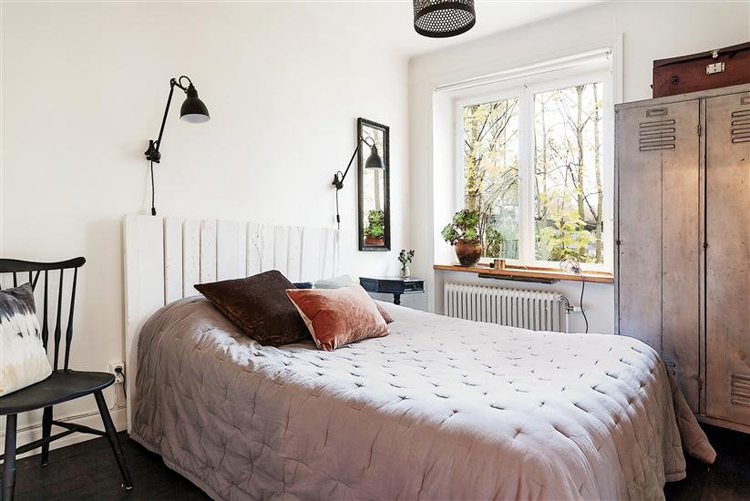 Dark wood floors, white walls, farmhouse dining table, and gentle gray touches in the bedroom make this apartment the perfect, dreamy space despite only being 500ft2 (51m2). What more could you possibly need? I’m so in love with those butcher block counters and the vintage lockers in the bedroom for storage. I know that, realistically, there is no “perfect” spot to write, but check out that desk in the living room and try to tell me there isn’t an inspiration vortex lurking in that corner. Could you live here? 500 square feet?! The photographer’s a genius. And are you sure this isn’t your house? 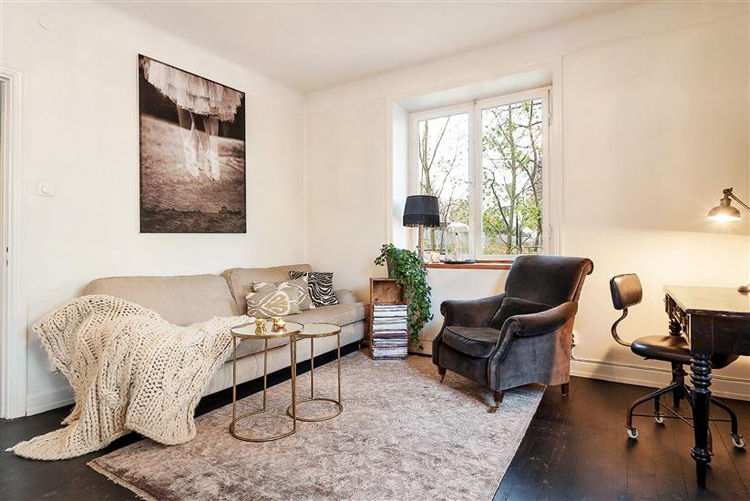 What with the ghost ballerina print over the sofa and plush throw? Yes please. I have house hunting on the brain right now (long story), but this seems perfect. Plunk an ocean right outside or a short walk away and I am so there. Oh, I should probably have a bedroom for Cal and I need a fireplace too, but this is so dreamy. Minimal but warm and inviting. I think I’m in love. Oh wow. What a space! I want to move in now! 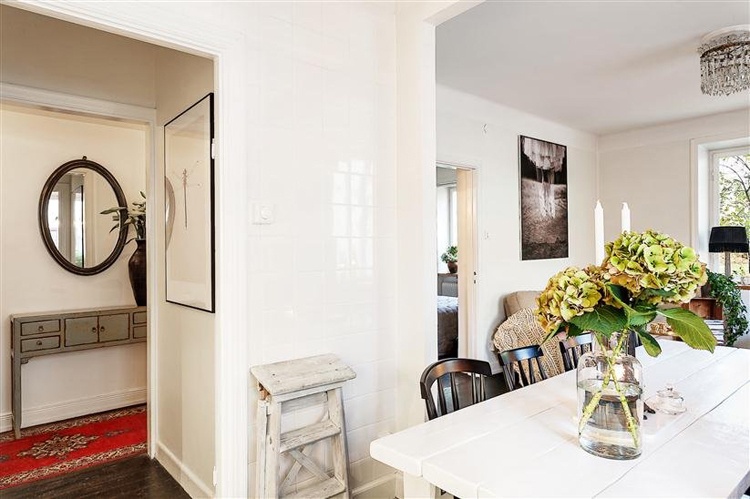 Scandinavians just know how to do interiors. this place is amazing!!! not wishing you a happy Halloween. no, I’m not! There is something so calming about this place. I’d live here. 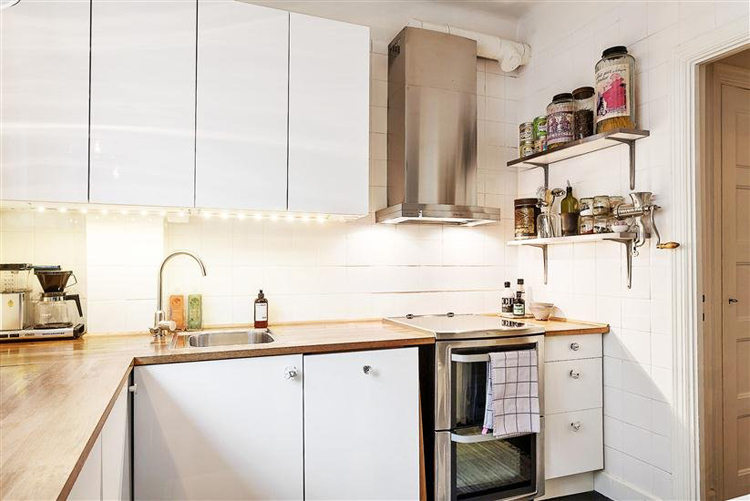 for 500 square feet, it looks quite spacious! it must be that layout and the design that keeps the room feeling airy and open. i think i could definitely live there. although i totally treasure our 2 bedroom that double the size of this place – stolckhom is one of the more interesting cities than orlando!